Much of the focus of fintech vis-à-vis financial inclusion has been on payments and the ability to transfer money with relative ease using a mobile phone and an app such as the United Payment Interface (UPI)/Bharat Interface for Money (BHIM), or using the USSD protocol in case of feature phones. Here, I want to discuss two fintech applications that have received less attention, but which can be transformative for financial inclusion. These include risk-based pricing of microloans and personalised financial advice. A central feature of finance, especially lending, is information asymmetry. The customer knows more about her creditworthiness than the lender. This is aggravated if the customer has no collateral to offer, which would otherwise serve as a 'signal' to the lender. Therefore, there is often a significant risk premium built into the pricing of the loan that buffers the profitability of the lender against credit losses. But we expect that over time, as lenders learn more about the creditworthiness of various customers, the same will be reflected in lower risk premiums. However, if you look at the microfinance industry as an illustration, you will see in spite of several customer groups having over 10 years of credit track records (this data is available through the credit bureau for at least five years now due to the guidelines of the Reserve Bank of India or RBI), pricing to customers has remained largely the same (the annualised percentage rates of interest lie between 22 and 26 per cent) and there is no distinction between newly-acquired and vintage customers. At the same time, one growing category of fintech companies is digital credit providers - they underwrite loans to customers based on a combination of data points such as credit record, tax data (if available) and bank statement analysis, among others. Some companies also take as input psychometric data such as entrepreneurialism and honesty in dealings to construct a picture of the customer. To a large extent, microlenders and digital lenders currently serve different customer segments - the former tends to serve more unbanked customers and informal sector workers. But these two worlds will soon collide and it is reasonable to expect a lot more risk-based pricing for these customers that will take as input various aspects of a customer's behaviour and attitude. This will be the great leveller in retail credit: A poor woman who is an agricultural worker with a strong repayment ethic and ambitious goals for the future should be able to borrow at the same risk premium as her urban counterpart who is a salaried worker. While the rich have private bankers that provide customised financial advice, this service is equally important to low-income households for whom even small financial mistakes can have costly consequences. Yet, most efforts in financial inclusion take a standardised view of customers and have cookie-cutter distribution models. 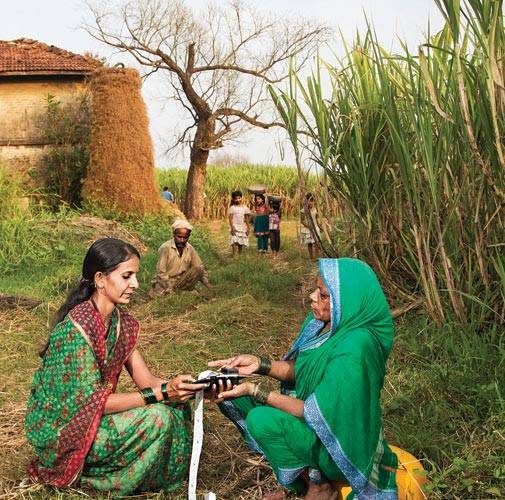 There have been a few experiments in customised distribution approaches, notably the Kshetriya Gramin Financial Services (KGFS) model that uses a combination of product rules and trained front-line employees in remote rural markets. However, by and large, customisation has been associated with high operating costs and the need for specialised staff at the customer interface. Fintech will mount a significant challenge to this traditionally-held wisdom. One application of fintech, specifically the supervised machine-learning models, is building recommendation engines that can construct customised financial portfolios based on inputs such as age, risk-taking ability and investment horizons. Even if in the near future it does not seem likely or even desirable that a rural customer uses a recommendation engine of this nature in a self-service mode, say, through an app to buy mutual fund and insurance, this can be plugged into systems and processes of existing service providers with a sales force that interacts with this customer segment. Such integrations can significantly enhance the quality and comprehensiveness of the proposition to the customer relative to the mono-product focus (usually loans) prevalent in financial inclusion. Finally, some cautionary thoughts. Financial inclusion has been notoriously driven by supply-side considerations and poor understanding of customer needs and preferences, resulting in outcomes such as dormant bank accounts. It is not obvious that fintech-based approaches will not fall into the same trap. For example, proponents of mobile banking for financial inclusion have not sufficiently appreciated the challenges regarding a woman's access to private transactions on the phone even where the household has a phone. Many women seek confidentiality even from other members of the household when it comes to financial transactions, particularly savings activity. Local language interfaces are difficult to support on Chinese-manufactured feature phones that account for a large share of the rural market. These have important design implications and must be taken into account if fintech has to reach its potential. Confidence of the customer is an important factor in widespread adoption of these services. Besides good design of services and affordability, this requires a regulatory framework that enhances customer protection and providers not taking a narrow 'buyer beware' approach.